MUMBAI: Post-Torrent deal, a much leaner and better leveraged d Elder Pharmaceuticals Ltd as set in motion a process to expand its footprint in the Rs 4,000-crore dermatology segment in a big way. The company already had some presence in skin care category but with a slew of new launches it plans to grab a market share of 4-5 per cent in each sub-category, Elder Pharma said in a statement to PTI. Skin care has always been a segment characterised by global MNCs like Unilever, P&G, Revlon, Lakme, Amway, Olay, Artistry, Garnier and L'Oreal as well as local players and thousands of small units in unorganised category, each vying for a dominant presence through adoption of a combination of marketing strategies and product differentiation. 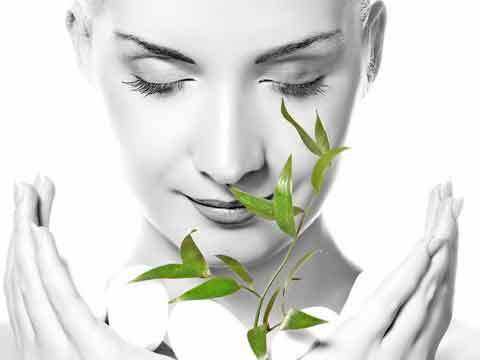 The growth of 20 per cent in the skin care segment comes not only from urban areas but also semi-urban and rural pockets where a wide distribution network and judicious pricing policy are very important. Elder has introduced 'Eslite Plus', a hydroquinone and combination cream for skin lightening; 'Ultraguard', a sunscreen containing American & European FDA standard ingredients; 'B-New', an anti-aging cream; 'Camoflage', a stretch-marks & pregnancy line remover and 'Skin O2', a multi vitamin product in soft gelatin capsules for skin nourishment, as reported by PTI. "Launched through the ethical route, the initial response to our new products has been encouraging and we expect these brands to contribute a combined turnover of about Rs 115-125 crore by FY16. "Also on anvil are products for lip care, hair loss, under-eye gel, face cleansers, moisturisers etc. Derma products are in demand not only for therapeutic requirements but also lifestyle reasons, enabling the skin care industry to evolve to the age of cosmetic and anti-aging treatments," Elder Pharma Managing Director Alok Saxena said. With a rise in disposable incomes and subsequent increase in lifestyle diseases, the craze for cosmetic surgeries is driving more young people to doctors and dermatologists. The volume of cosmetic procedures is expected to cross 2 million for the year 2016, Saxena said. Due to pollution, ultraviolet light and global warming, photosensitive skin disorders like tanning, pigment darkening, sunburn, skin cancers and infectious diseases are also increasing at a faster pace, he added. Lack of comprehensive skin-related treatments at medical level is one factor which is boosting the business of pharma firms and encouraging them to explore the opportunity of selling over the counter (OTC) products by bringing novel compounds in or by in-licencing global products, Saxena said. About further launches, he said, "More than 80 per cent of the cosmetics market comprises low and medium-priced categories in terms of volume. We would be targeting the premium and also the economy segments through new launches. For the time being we have no plans to launch products in the luxury segment." The Mumbai-based drugmaker is targeting a turnover of Rs 1,000 crore by 2017 with its national and international operations contributing equally. This, it hopes to achieve through a combination of market positioning, mass geographical expansion, product revamps and launches in different product categories. Elder has also revamped and introduced new variants in its minerals and vitamin supplement Eldervit which alone is expected to contribute Rs 100 crore to its topline by 2016. Along with dermatology, Elder's major focus areas in the years to come will be in the anti-infectives, lifestyle diseases and neurological segments, Saxena added.